This calculator will show you just how much you are saving in taxes by making contributions to a Health Savings Account (HSA). First indicate if you are insuring just yourself or your family. From there, enter your annual contribution, annual catch-up contribution, and both the federal and state tax percentages. If your contributions exceed the 2018 limits the calculator will automatically adjust them to the limited contribution. For a full description of HSAs please refer to IRS Publication 969 (2017), Health Savings Accounts and Other Tax-Favored Health Plans. Are you someone who looks into ways to save money on your taxes? Does your medical insurance have a high deductible? If the answer to these questions is yes, you should look into a health savings account (HSA). Once you decide to enroll in an HSA, you then decide the amount of money you want to contribute to that account each pay period. That amount of money gets withdrawn from your gross pay and deposited into your health savings account. This reduces the gross amount of pay on your paycheck before payroll taxes, which in turn saves on the amount of taxes you owe. A health savings account is similar to other savings accounts in that you earn interest on the money you are saving. However, where it differs from a regular savings account is that you are not taxed on the interest earned. So you can continue to put money into this account month after month and not worry that you will get a tax statement at the end of the year to report your interest earned. You can withdraw funds at any time to pay eligible medical expenses without having to pay tax on your withdrawal. So not only do you not have to wait a specific period to withdraw, but you will not pay a dime of tax on the money you're using to pay your medical expenses. Now that you know how well an HSA can benefit you, how can you estimate how much money you will save? Start Date: You need to know what month was the first full month that you began contributing to your health savings account. Although a start date seems like a minor detail, there is a much higher tax savings if you started contributing to your health savings account in January than if you started in October. Coverage Type: Do you have a family plan or an individual plan? It makes a big difference in your tax savings depending on how many people you pay to insure. As you can imagine, the cost to insure a family is substantially more than the cost to insure an individual. Your Deductible: To have a health savings account you must have insurance with a high deductible, with a minimal individual deductible of $1,250 or $2,500 for a family. 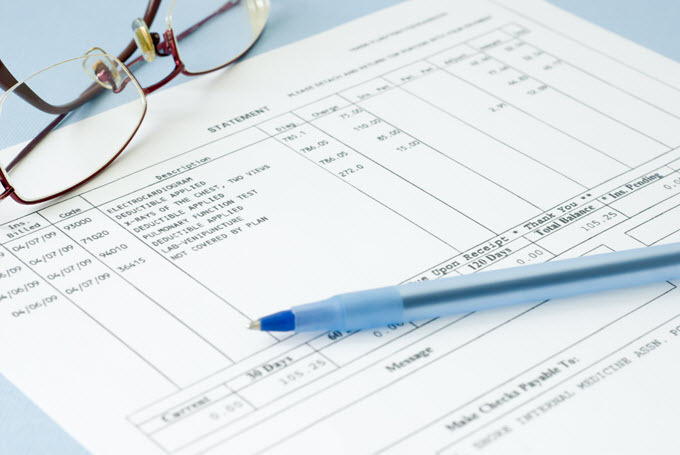 Depending on your insurance plan, deductibles can reach as high as $10,000, so be sure you are clear on your specific amount when estimating your tax savings. Marginal Income Tax Rate: Every year when you file your taxes you receive a tax rate from the Internal Revenue Service. The IRS bases this rate on your filing status as well as your total gross income. To estimate how much you will be saving with your health savings account, you need to have some idea of your tax rate. The higher your tax rate, the greater savings you will gain by having a health savings account. Age: If you are 55 years or older, things change in regards to your health savings account. It is assumed that the older you get, the more health expenses you will have. Therefore, if you are over 55 you are eligible to contribute more to your health savings plan. During 2014, the additional contribution amount allowed was up to $1,000. If you do want to reap even greater tax savings and you are 55 or older, consider making this additional contribution. Ultimately, how much you save on your tax expense depends on how much you contribute and how much you currently pay in taxes each year. However, there is no doubt that you will save money by establishing a health savings account.